The internet is, without a doubt, one of the most groundbreaking technological innovations of 20th century: an invention that follows the international trend of globalization and political uniformization, and a bottomless well of information that is reminiscent to the Library of Alexandria. The concepts of a virtual world and virtual identity have become popular in contemporary times, and the fact that we use the internet to communicate, interact with other people and download data is already a part of our daily routine. Moreover, the social media thins out the line between our real day-to-day life and our virtual alter-ego, thus mirroring human ideas, thoughts and concerns. Such a power will inevitably lead to a situation in which the users interact for social and political reasons, like in the case of the Arab Spring – where political regimes fell thanks to the ease of communication and freedom of expression that is provided by the internet. Other examples where social media has influenced social movements include the 2013 protests from Turkey (that eventually led to governmental restrictions), the 2011 “Occupy Wall Street” Movement from the United States of America, the 2011 protests against the alleged rigged parliamentary elections from Russia, the 2013 Roșia Montană protests from Romania, and the 2012 Shifhang protest from China. The consequences of these digitally-promoted and social media-fueled protests vary from the ideal situation when a decision that encapsulates the protesters’ views and the government’s will is made, to the scenarios where measures are taken against the protesting citizens via more-or-less abusive legitimate use of force. What these examples have in common is the right to use the ever-growing global inter-connected network, the internet. And without a virtual space that, regardless its metaphysical nature, is free and allows the users to send and receive information without boundaries, no such social and political movements would be possible. And with the existence of legislative frameworks enabling both governments and internet companies to identify, surveil, and block certain activities of the users, the equation becomes more complicated. In a nutshell, if a social media company wants to delete a protest page that infringes its terms and policies it may, whilst also storing all the information about the activity. Governments may also have collaboration protocols with the internet and communication companies, to the extent in which the polity’s agenda is fulfilled. None of the above-mentioned social movements would have been so widespread without the aid of the internet media, and without a framework that allows for ideas to flow freely from a peer to the other, their impact would severely be compromised. 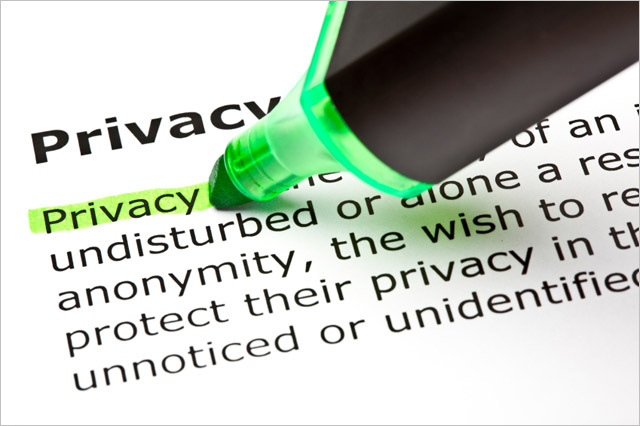 Therefore, if there is a real-life right to privacy, then there has to exist one to protect the same information in the digital stratum. Furthermore, in order to strengthen the claim according to which there is an inter-linkage between privacy and freedom of expression, and to emphasize on how detrimental censorship can be, the United Nations Special Rapporteur, Frank De La Rue, has written down an extensive report. It should be noted that the report only regards the actions of the governments, and doesn’t take into account what the internet companies do – except for the cases in which the decisions were made by governments, and the companies were obliged to comply. In the contemporary context there are many talks regarding how the internet should be regulated, so that governmental, corporate, and individual interests are secured, which leads to the so-called multi-stakeholder approach. Nevertheless, the treaties that emerged – the likes of ACTA, SOPA, PIPA, and CISPA, did not manage to grasp on all the interests, and were usually dismissed by the end users themselves. Therefore, the question that one may ask is: Can political and commercial interests be put into practice while also securing the users’ privacy? Previous PostThe Middle East Weekly Review: What is happening in Gaza? The Return of Iraq to a Sharia-based Legislation?